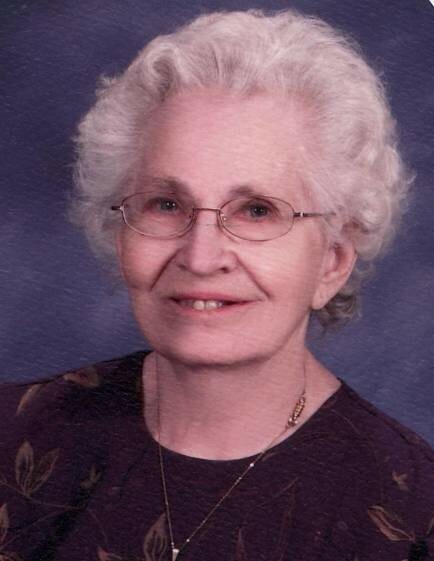 Shirley Ann (Sherwood) Langley, age 87, died peacefully on Saturday, April 13, 2019 at the Kendallville Manor Healthcare Center. Mrs. Langley was born in Waterloo, Indiana on February 15, 1932 to George Elijah and Anne (Freed) Sherwood. She graduated from Ashley High School in 1950 and married Robert Carl Langley on February 3, 1952 at the Cedar Lake Church of Christ near Auburn. Robert preceded her in death on April 1, 1991. A long-time Stroh area resident, Shirley enjoyed working side by side with her husband on their family farm, raising their children and seeing their grandchildren loving the farm life too. Shirley was known for her kind heart and loving way. She was open and friendly to everyone she met. She helped her mother-in-law as an assistant in the Stroh Post Office for many years until her death. She then took over the position of postmistress. Shirley had a great love for people and enjoyed visiting with others when they came in to get their mail. She looked forward to yearly visits to her daughter’s home in Florida to get away from the cold and snow of Indiana winter and enjoy the warmth and sunshine. But she still missed everyone in Indiana and anxiously waited to return. She was a long-time member of the Stroh Church of Christ. She enjoyed going to lunch with her friends and family on a weekly basis, studying the Bible with her Jehovah Witnesses friends, and playing cards and board games. Son, David and Laurie Langley of Woodland Park, Colorado. Son, Thomas and Brenda Langley of Stroh. Daughter, Connie and Ken Shives of Pompano Beach, Florida. Eight grandchildren: James and Nicole Langley of Littleton, Colorado; Luke and Rachel Langley of Herfost, Germany; KaraLee and Rob Johnston of Woodland Park, Colorado; Megan and Jake Markus of Woodland Park, Colorado; Justin Shives of Coral Springs, Florida; Larissa and Nathan Hug of Wallkill, New York; and Larin Langley of Chillicothe, Ohio. 12 great grandchildren: Michael Langley, Matthew Langley, Joseph Langley, Gabrielle Langley, Justin Langley, Grayson Johnston, Eisley Johnston, Mason Markus, Monica Langley, Mary Langley, Teresa Langley, and John Langley. Sister, Beverly Blech of Auburn. Nieces and nephews, Janice Hartman of Fort Wayne; Robert and Carla Blech of Coldwater, Michigan; Marie Smith and Toby Blech. She was preceded in death by her husband, Robert; granddaughter, Leah Langley who died October 10, 1998; grandson, Anthony Langley who died September 15, 2001. A funeral service will be held on Tuesday, April 23, 2019 at 3:00 PM at Hite Funeral Home in Kendallville with James Charles officiating. Visitation will be held prior to the funeral service from 1:00 – 3:00 PM. Burial will take place at Fairfield Cemetery.